According to a December 4, 2013 report, appearing in ScienceDaily, a University of Colorado Cancer Center study that will soon be published in the journal Nutrition and Cancer describes the laboratory synthesis of the most active component of grape seed extract, B2G2, and shows this synthesized compound induces the cell death known as apoptosis in prostate cancer cells while leaving healthy cells unharmed. Apoptosis is the process of programmed cell death that may occur in multicellular organisms. Biochemical events lead to characteristic cell changes (morphology) and death. These changes include blebbing, cell shrinkage, nuclear fragmentation, chromatin condensation, and chromosomal DNA fragmentation. Aptosis is a natural death that happens to cells, as opposed to necrosis. In necrosis, which is a form of traumatic cell death that results from acute cellular injury, apoptosis generally confers advantages during an organism's life cycle. For example, the differentiation of fingers and toes in a developing human embryo occurs because cells between the fingers apoptose; the result is that the digits are separate. Unlike necrosis, apoptosis produces cell fragments called apoptotic bodies that phagocytic cells are able to engulf and quickly remove before the contents of the cell can spill out onto surrounding cells and cause damage. "We've shown similar anti-cancer activity in the past with grape seed extract (GSE), but now we know B2G2 is its most biologically active ingredient which can be synthesized in quantities that will allow us to study the detailed death mechanism in cancer cells." Tyagi works in the lab of CU Cancer Center and is one of the investigators with Skaggs School of Pharmacy faculty member, Chapla Agarwal, PhD who are authoring the peer reviewed paper. 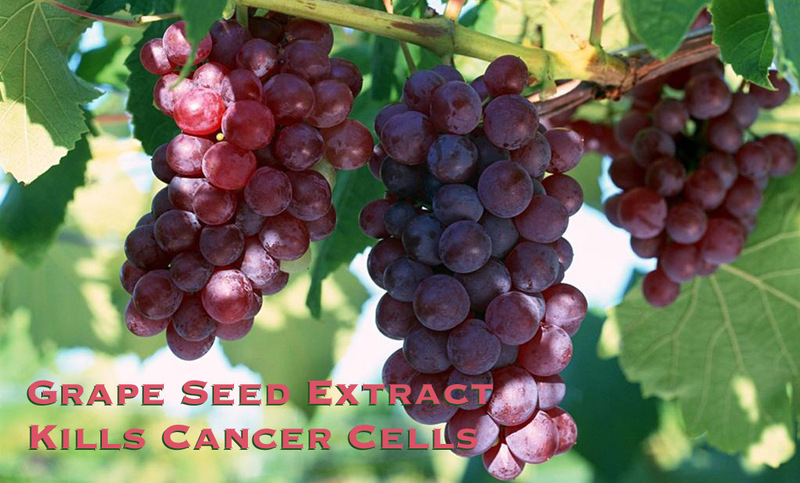 The group has spent more than a decade demonstrating the anti-cancer activity of grape seed extract (GSE) in controlled, laboratory conditions. Previous studies have shown the GSE effectiveness against many different kinds of cancer cells and have also shown its mechanism of action. But their claim that GSE kills cancer was frustrated by not knowing the precise molecule that performed this action. The group eventually pinpointed B2G2 as the most active compound, but as Tyagi explained, "...It's expensive and it takes a long time to isolate B2G2 from grape seed extract." This expense related to the isolation of B2G2 had limited the group's further exploration and delayed a statement on the anti-cancer benefits. So instead of purifying B2G2 from GSE, the group decided to synthesize it in the lab. The current study reports the success of this effort. The group now has the ability to synthesize large quantities of B2G2, quickly and inexpensively. In the paper the group shows that the anti-cancer activity of synthesized B2G2 is similar in mechanism and degree to overall GSE effectiveness shown in previous experiments. "Our goal all along has been a clinical trial of the biologically active compounds from GSE against human cancer. But it's difficult to earn FDA approval for a trial in which we don't know the mechanisms and possible effects of all active components. Therefore, isolating and synthesizing B2G2 is an important step because now we have the ability to conduct more experiments with the pure compound. Good news. We have long known about the effectiveness of grape seed extract and other natural cures for cancer but have always been discouraged by the medical and pharmaceutical companies who treated these compounds as "snake oil". It is encouraging to see that science is finally recognizing these as real and effective treatments for cancer. I hope that this is available on the market soon. I've been taking the extract for years now and have been healthy. It is good to know that I was right in my belief that it was good for me. Thanks for this news. They say the B2G2 is as effective as the grape seed extract so why would someone want to take the B2G2 if the extract is already available on-line and at health food stores? The breakthrough of the B2G2 was just important because it allows research with the FDA and NIMH so that they can make its anti-cancer properties "official". For anyone with cancer or the fear of cancer perhaps it is a good idea to use the grape seed extract now and not wait for some concentrated pharmaceutical that will likely be available with a doctor's prescription only.